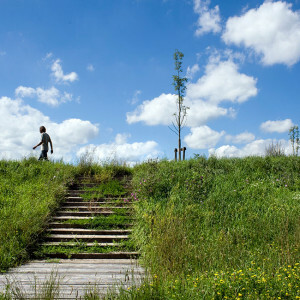 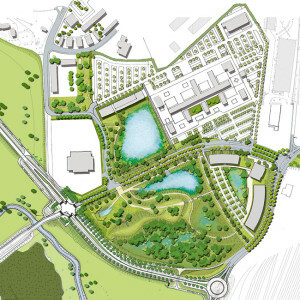 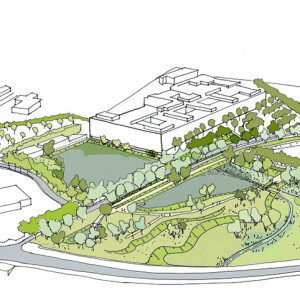 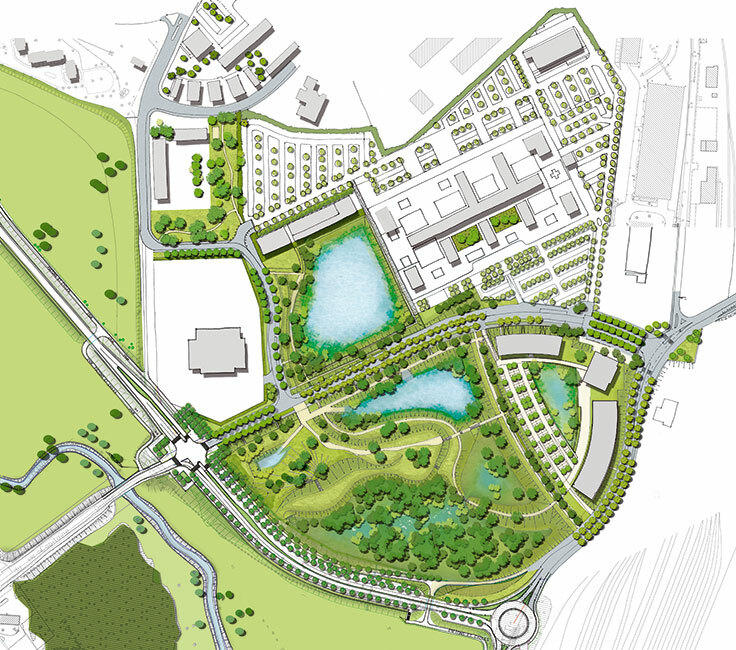 Urbicus: Located amid the natural areas of the Thalie Valley, albeit on a former landfill site at the edge of the railway infrastructure in neglected areas, and in a flood zone, the challenge of the project is to manage the transition of the site while taking account of pollution and flooding constraints. 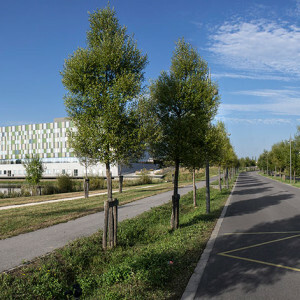 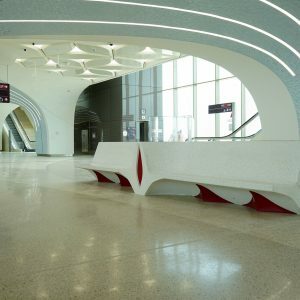 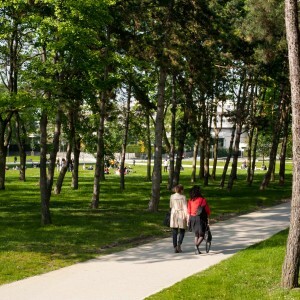 The Parc de la Thalie (Thalie Park) provides a connection between the amenities (a new hospital and a medical centre) and the public spaces at the entrance to the town of Châlons-sur-Saône. 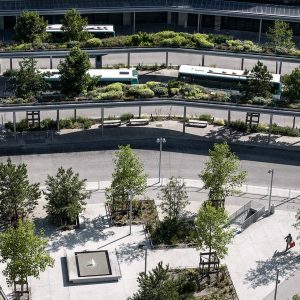 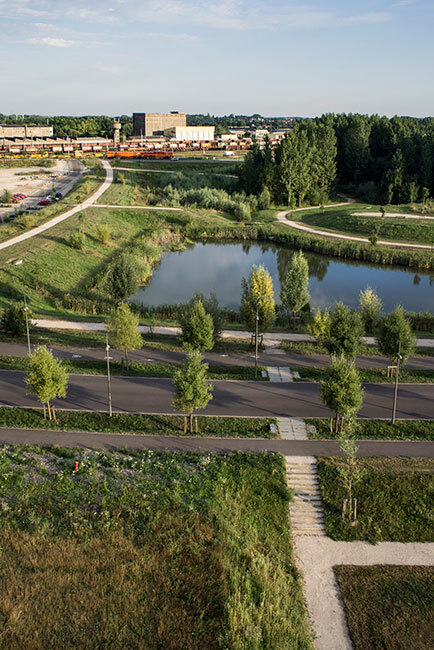 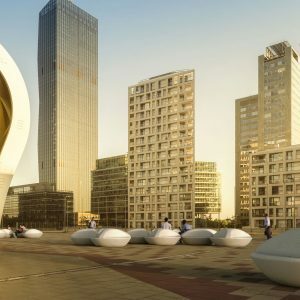 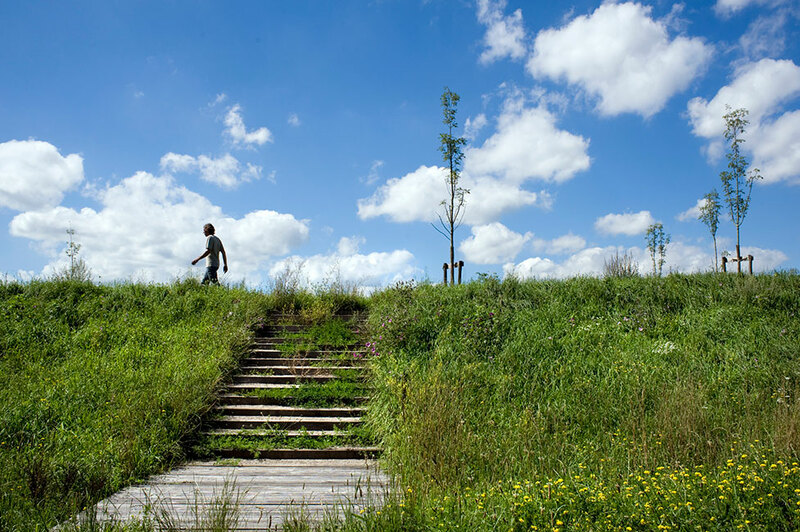 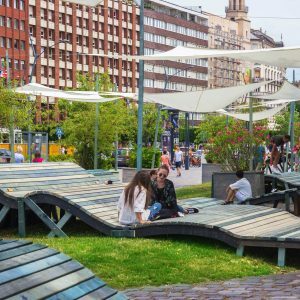 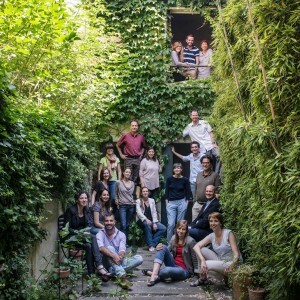 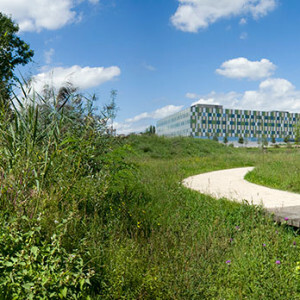 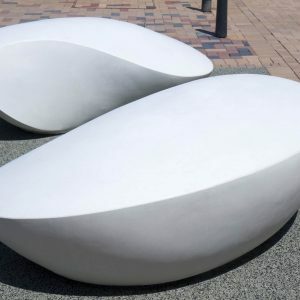 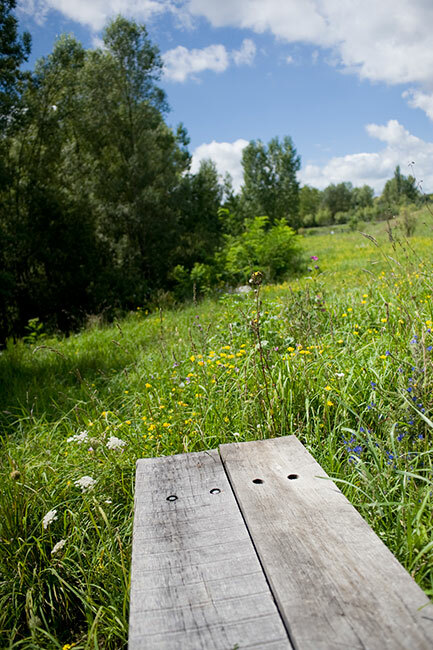 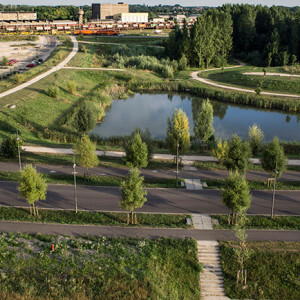 It provides a green space for the hospital complex and promotes biological diversity through ecological continuity between Thalie and the new spaces created. 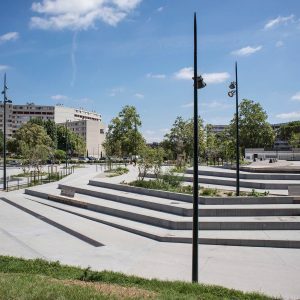 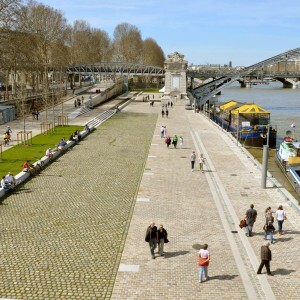 The public spaces are organised around Rue du Capitaine Drillien, which has been converted into a road for buses and non-motor vehicles only. 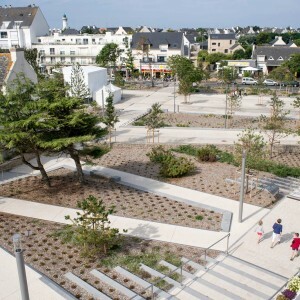 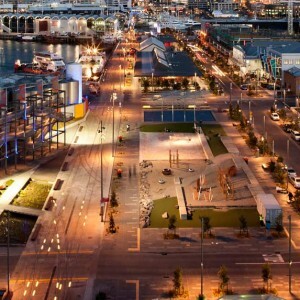 This street is subject to alternative runoff water management. 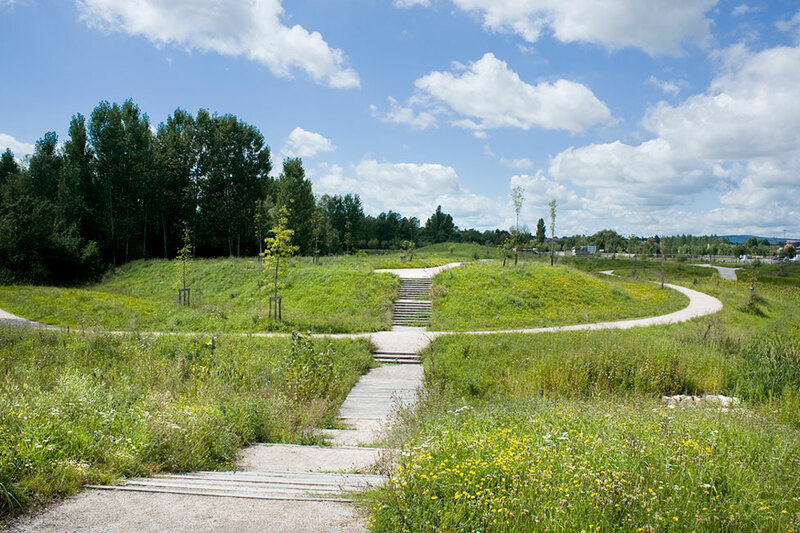 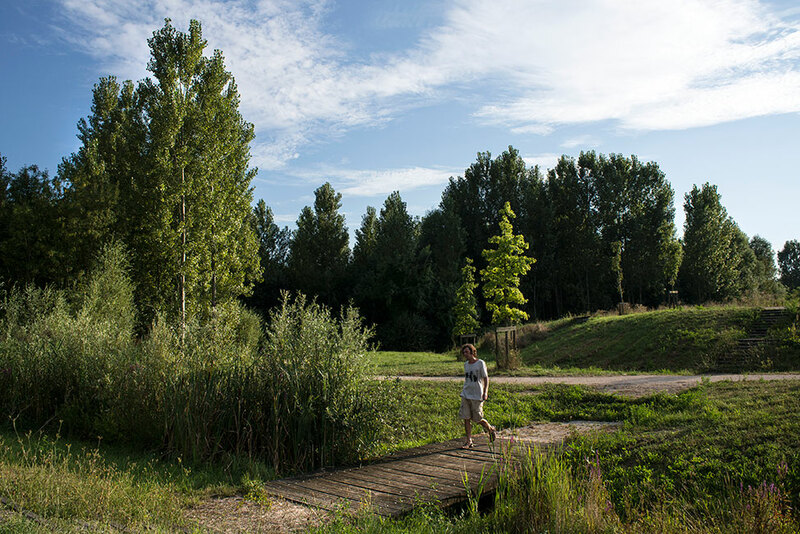 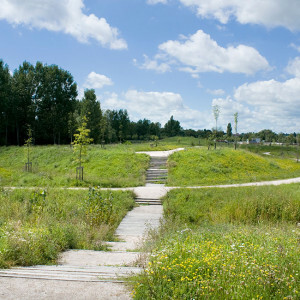 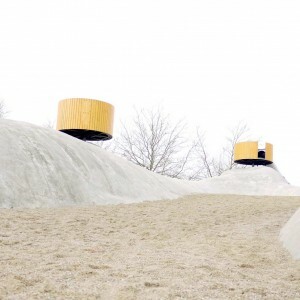 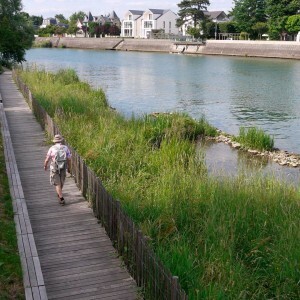 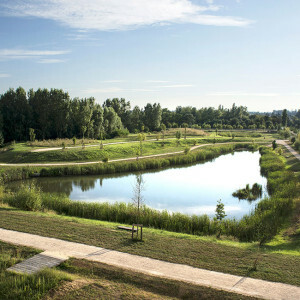 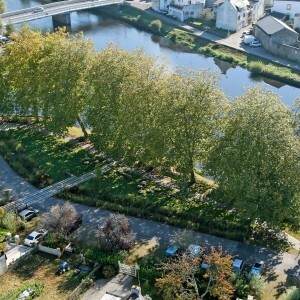 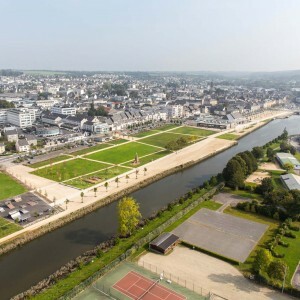 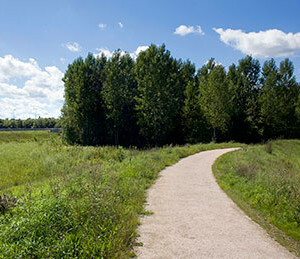 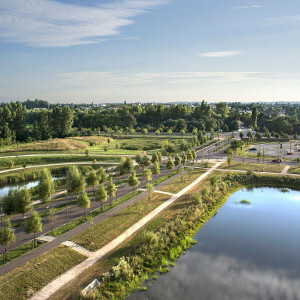 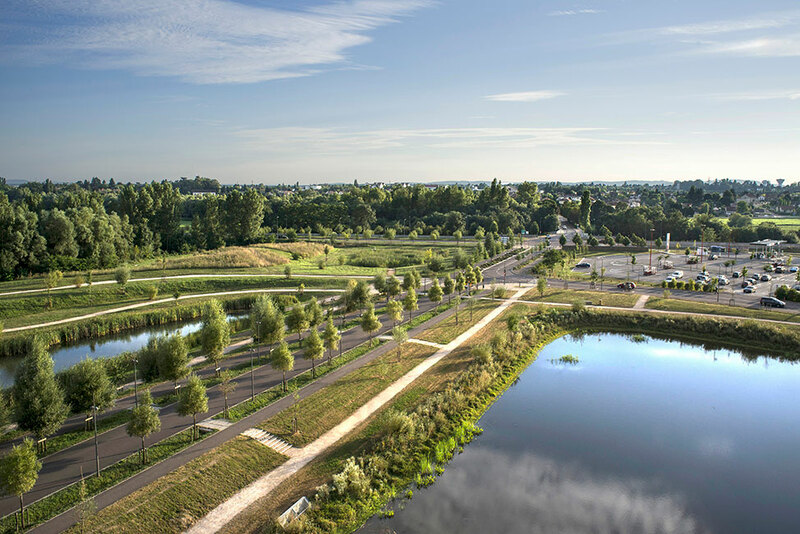 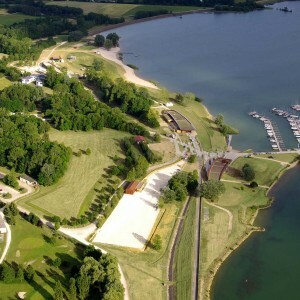 The Parc de la Thalie can accommodate rises in river water levels: the wetlands that predated the park have been considerably enlarged to compensate for the filling in of the main bed when the Châlonnaise conurbation ring road was joined up. 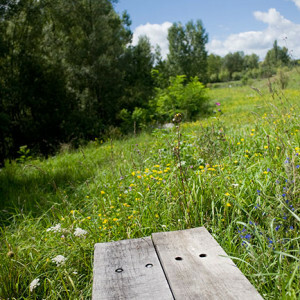 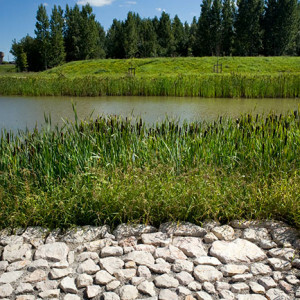 Storm drains have also been created to store rain water. 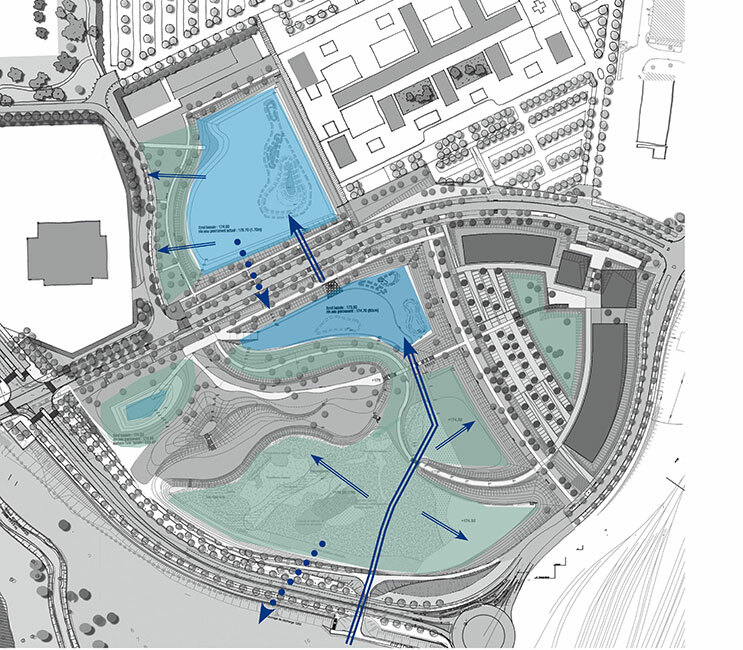 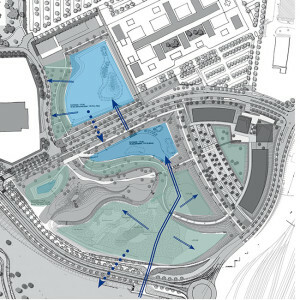 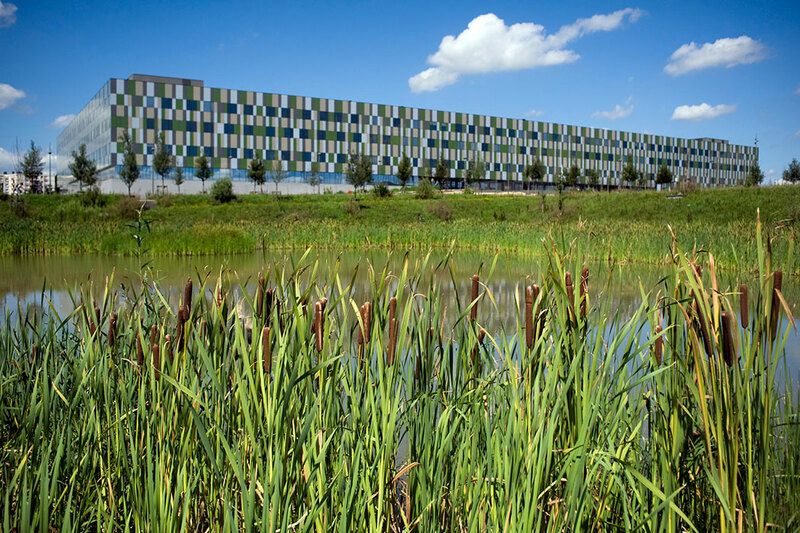 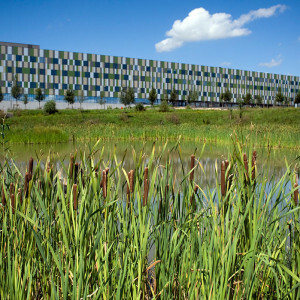 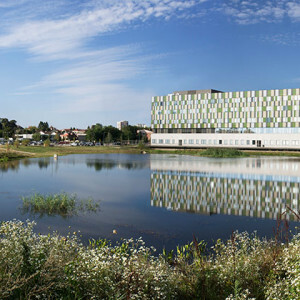 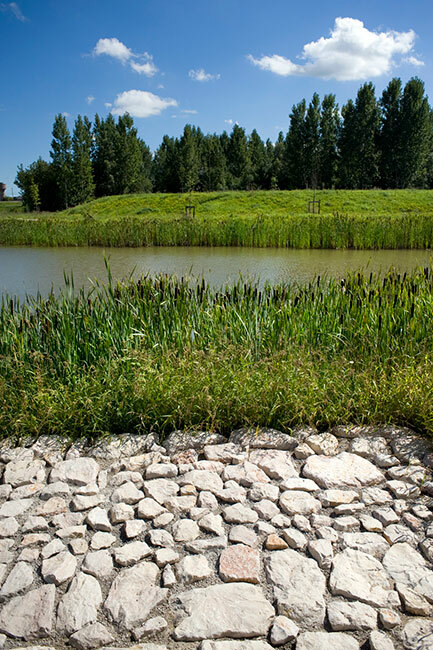 Two ponds face each other on either side of the street, creating visual continuities between the hospital façades and the wetland areas of the southern park. 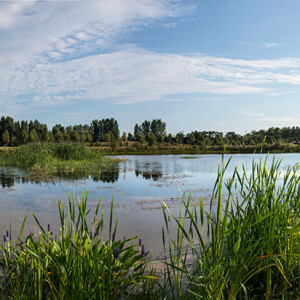 The banks of these ponds are planted with aquatic species, specially chosen in consultation with fishing associations and State departments. 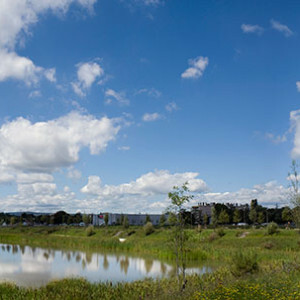 The north pond can also collect water from the hospital roof. 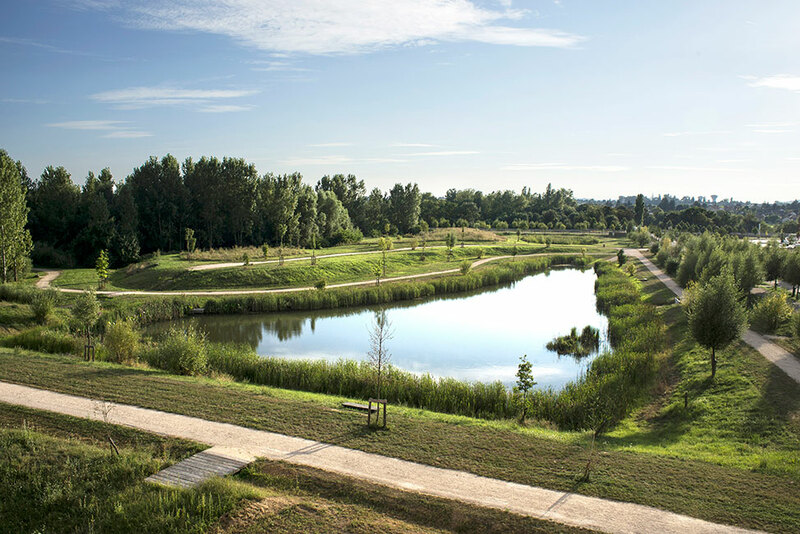 At this park, extensive soil management work has been carried out to deal with pollution by all categories of waste (clinker, heavy metals, miscellaneous backfill and illegal dumping) as well as a campaign to eradicate Japanese knotweed. 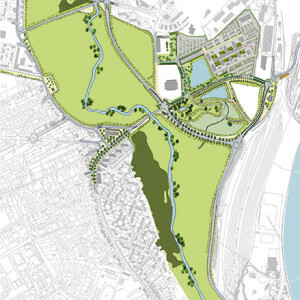 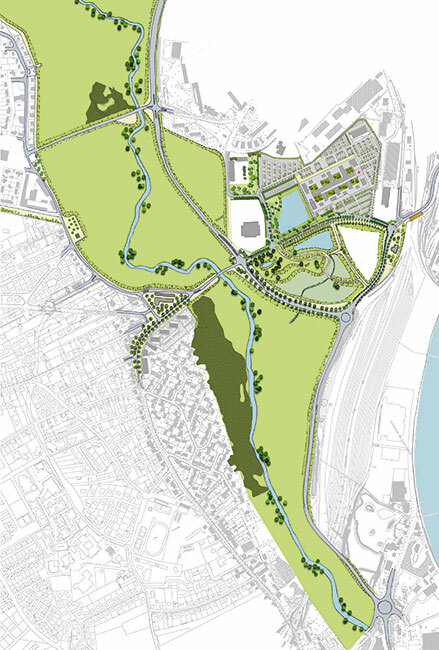 The management and depollution of these soils have therefore been incorporated into the design of the overall plan, which seeks to ensure the safety of the site while minimising earthworks, using models of the site.